Ford provides basic, power train and emissions warranties with new cars purchased in California. Those warranties follow the car until they expire. If your new, used, leased or purchased vehicle is in the shop too much and the problems started during the warranty period, it may be a lemon. If the manufacturer won’t repurchase, replace or compensate you, then you should speak with Patrea Bullock the California Lemon Law Expert about your legal options. Do you have a Ford Lemon? To qualify under the California Vehicle Lemon Law the vehicle must have a problem which the dealerships have been unable to repair. For the law to apply, the dealerships must be given a reasonable number of opportunities to repair the vehicle within the warranty period. Consumers with lemon Fords have a right to sue the manufacturer for damages if the manufacturer won’t take care of the issue promptly. In addition, if they fail to repurchase the vehicle promptly you may also be entitled to civil penalties of up to two time your actual damages. Under the lemon laws, the problems with your Ford vehicle needs to substantially impair the safety, use or value of the vehicle to qualify. There is often a difference of opinion between the manufacturer and the consumer. What you consider a substantial impairment, the manufacturer might consider a nuisance. That’s why it’s imperative to have a lemon law attorney on your side who understands your concerns with regard to your Ford vehicle and who will fight Ford to prove your concerns are substantial and not simply a nuisance. 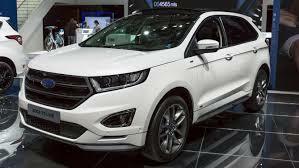 Successful cases have been brought against Ford Motor Company for almost all model vehicles, including Ford Focus, Ford Fusion, Ford Fiesta, Ford Edge, Ford Flex Ford Escape, Ford Mustang, and Ford trucks, including the F-150, F-250, F-350 and F-450. These problems can substantially impair the safety, use and/or value of your Ford. 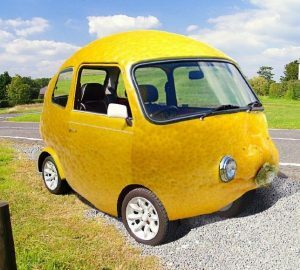 If you had multiple issues, it is possible that your Ford is a lemon. A ten-minute consultation can help you understand if your Ford is a lemon. If the California Lemon Law Expert determines you have a valid lemon law claim you could have your vehicle repurchased or replaced, or you might get to keep your vehicle and receive a cash settlement. Contact the California Lemon Law Expert, Patrea Bullock at 916-672-8443 for a free case evaluation today. Even if Ford agrees to repurchase, replace or compensate you, having an attorney on your side, protecting your rights during the negotiations is highly recommended. The Release they will ask you to sign is a legal, binding agreement and should not be entered without legal advice. The Release could have clauses that are either not legal or not necessary and you could be unnecessarily giving up rights. Since the advice of counsel is FREE, don’t put yourself in this position. Call the California Lemon Law Expert today at 916-672-8443.